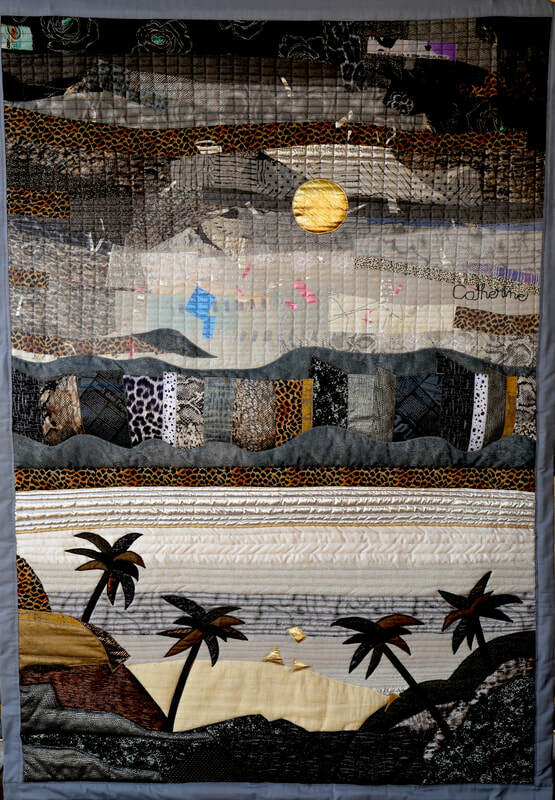 Catherine Snöbohm has been active as a textile artist and painter for more than 35 years and worked closely together with architects and interior designers. She had her artist education in Los Angeles as well as in Stockholm and Lidingö Sweden. She is a member of the art group Lidingö Konstnärer. She is working both with textile art, appliqué technique/collage to create her motifs and as a painter with acrylic on canvas. ​The Queen of Sweden has visited the "Kvinnor Kan" a fair for female business owners and Catherine's art work among other exhibitors.